Sometimes kids just need a little inspiration to get creative. Here are eight ways to unleash their imagination! We used a whiteboard and adhesive eye stickers for this activity! Kids will be motivated by the different prompts in this 21 day journal! Cut out some interesting parts from brochures and magazines to inspire your child. Get the kids drawing at mealtimes too! Encourage your child to get drawing with teamwork drawing. Use your child’s hand outline as a starting point for some creativity! 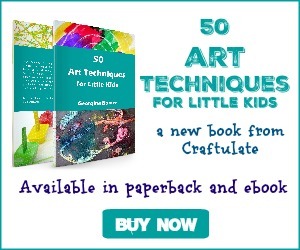 Kids of all ages can help create this doodle book to give as a gift!